My first week of the semester wasn’t quite what I expected. For starters, I didn’t think it would only entail two days of classes. You have to hand it to Mother Nature for making my school close down on the day I have three classes. Kudos to her, but missing classes means the course work has to be made up somehow, which brings me to my main complaint. I just had to rework the days that I would hand in assignments in one class, and it did not make me happy one bit, especially the fact that a paper due date was moved to the same day as for another paper. This semester is going to test my abilities to stay on task more than ever before, which means I need to learn how to NOT PROCRASTINATE. I have so many assignments in all of my classes that there is absolutely no wiggle room whatsoever. If I don’t stay on top of everything, it’s going to be disastrous, and I wish that was just an exaggeration. In preparation of this week, I decided to not honor my decision to avoid baking for a little while and made some blueberry muffins to eat for breakfast as I’m going out the door in the morning. 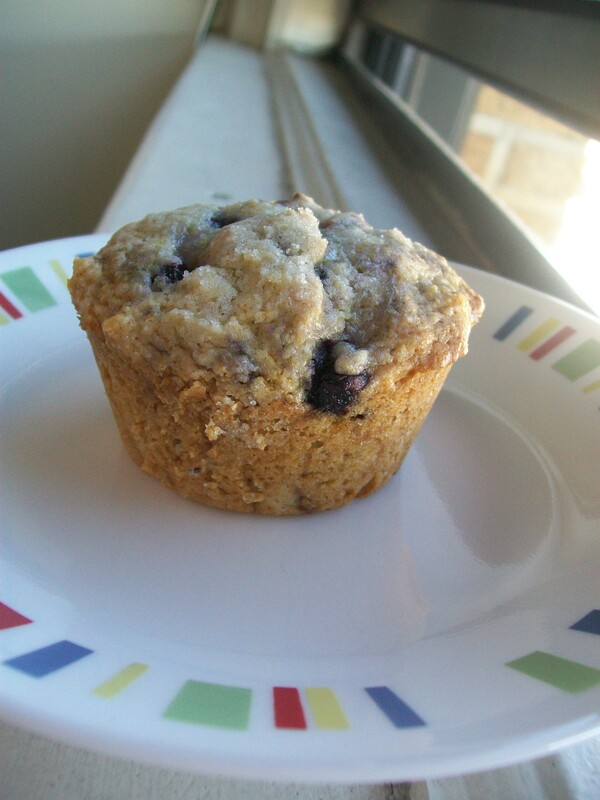 I made the To Die For Blueberry Muffins on Allrecipes.com, and I must say that they really are “to die for.” This also marked the inaugural use of my new muffin tin. I made some of my own alterations to the recipe, and they turned out wonderfully. I did not use the cinnamon/sugar/butter topping the recipe suggested, but I did sprinkle a tiny bit of sugar on top before I put them in the oven. I also subbed in a half cup of whole wheat flour, and I couldn’t even notice that I did that. Next time around I will probably use half all purpose flour and half whole wheat flour, just to make them a bit healthier and more filling. I didn’t have it at the time, but I’ll also use applesauce in place of the vegetable oil, just because. 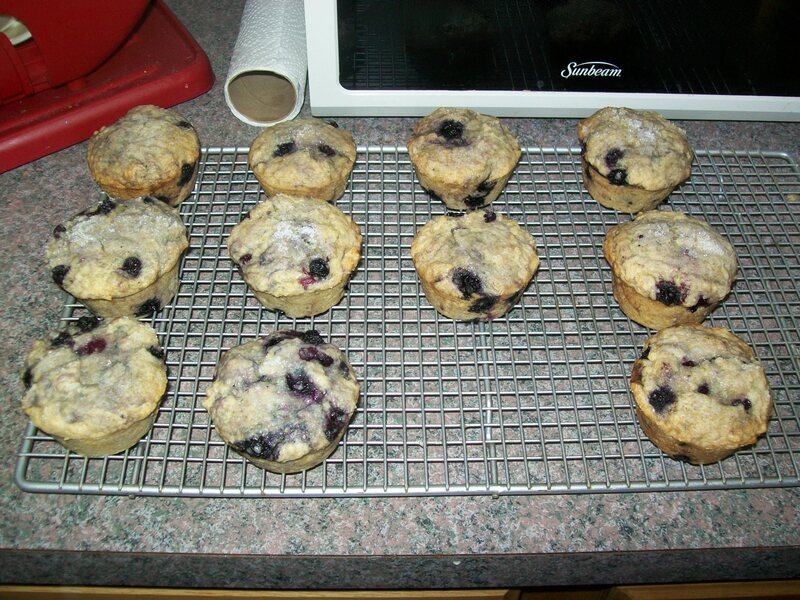 Unfortunately, the recipe only yielded 11 muffins, probably because I tried to fill the cups too high. I also wish they could have had a more golden coloring, but I didn’t want to leave them in the oven, for fear of drying out. I’m not sure how long I left them in, but any longer and I would not have been happy because they would have been dried out. I took them out at the perfect time to obtain maximum moisture, so in the end the coloring is just an aesthetic thing. This snow day also yielded additional unfortunate news, beyond the changing due dates. I went to check on Fishy this afternoon to find him floating immobile on his side. He had a good long life, for a little fish, but I will miss him swimming around in his bowl on my desk, blowing bubbles up at the surface along the sides and then popping them. RIP Fishy, May 2010-January 2011. After today, I really want nothing more than to listen to some Celtic Thunder and bake up some Best Cocoa Brownies, which I think I’ll do as soon as my suitemates clear out.